Romaine lettuce is linked to an E coli. outbreak across Canada. 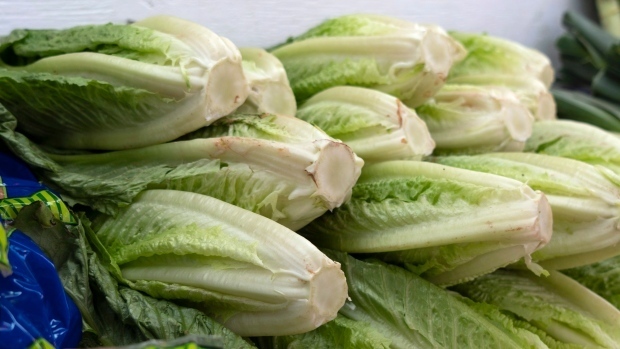 OTTAWA -- The Canadian Food Inspection Agency has tested more than 2,000 samples of fresh lettuce and packaged salads but it hasn't found produce containing the bacteria in its search for the source of an E.coli outbreak. Aline Dimitri, the agency's deputy chief food-safety officer, said Friday the results don't mean E. coli is gone from Canada's food supply. They do suggest if it's present it is at very low levels, she said. He said experts tracing patients' food histories found most patients who became sick had eaten romaine lettuce in the days leading up to their illness. Tracing a person's food history involves interviewing them about what they ate and where, Njoo said. The Centers for Disease Control and Prevention issued a much more broad warning on Tuesday, saying Americans shouldn't eat romaine anywhere in the United States and restaurants should stop serving it. Njoo also said the most recent illness began on Nov. 1 but a delay in reporting meant the agency didn't find out about it until this week.